Huawei knows a lot about the network business, so it’s no wonder that local operators often rely on solutions from this company. 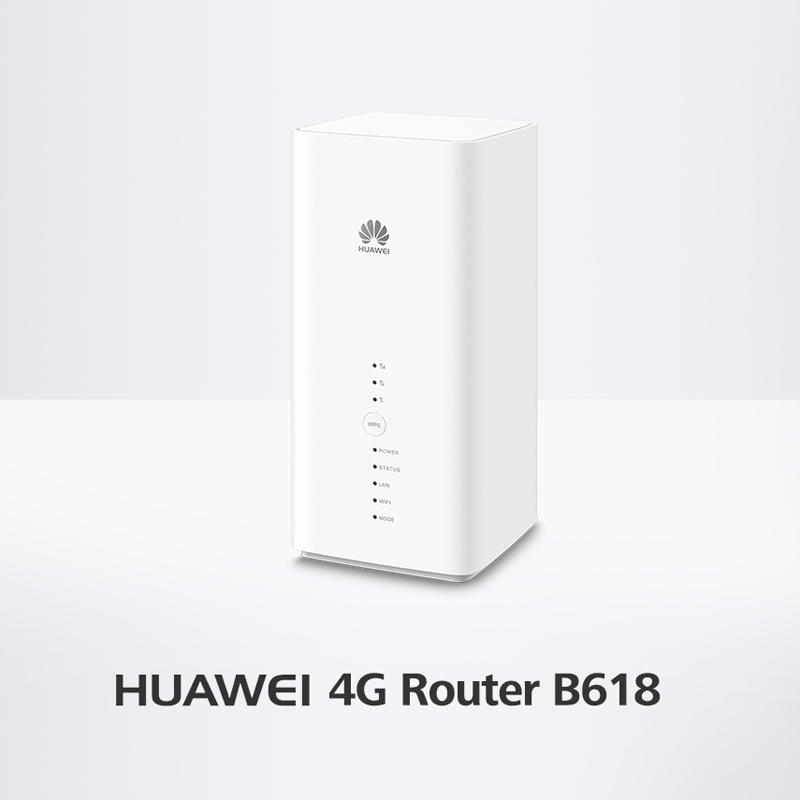 Based on the LTE category 11, the redesigned router B618s-22d is particularly future-proof. Up to 600 Mbit/s can be achieved in the download, in the upload a maximum of 50 Mbit/s is possible. To ensure good 4G reception, Huawei has integrated the multi-antenna technology 4 × 4 MIMO. However, if the LTE network is not available, the data can also be transmitted via HSPA with a peak bandwidth of 42.2 Mbit/s. Backward compatibility with 2G radio (GSM / GPRS) finally provides the last straw in mobile communications. Regarding the LTE frequency bands, the Speedbox LTE IV covers all relevant frequency bands on B1, B3, B7, B8, B20. A good LTE reception at the router is of course only half the task, the data packets must also be forwarded accordingly quickly and efficiently to the terminals. With the Wifi connection 802.11 ac, smartphones, tablets and notebooks can benefit from a fast connection. Thanks to dual-band (2.4 GHz and 5 GHz), up to 1.9 Gbit/s are possible. Alternatively, an Ethernet connection is available via two Gigabit-capable LAN ports. In terms of USB, the Telekom has upgraded with his variant. 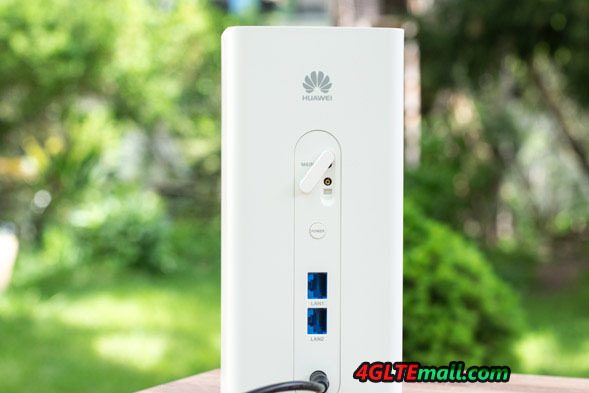 The original model “Huawei B618s-22d” comes only with a USB port and high quality telephone is also possible with this router, however, the Speedbox LTE IV gets with only two LAN ports. 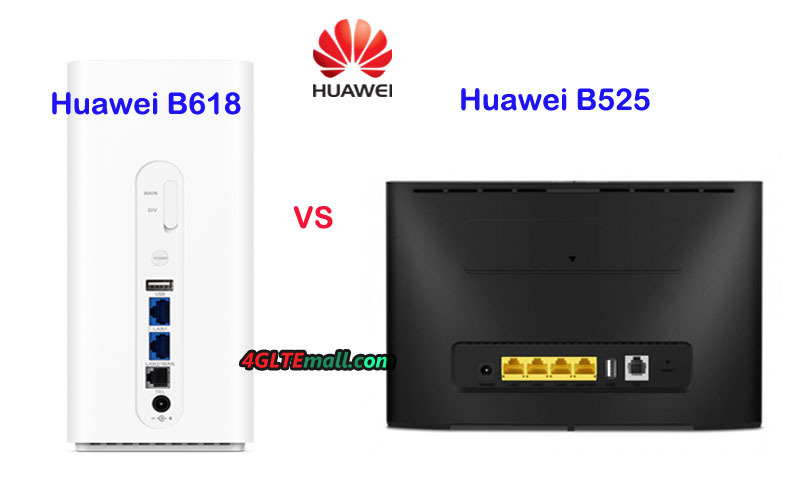 A telephone system does not exist; but the Huawei B618 router is originally VoLTE- compatible and can handle VoIP. The Telekom Speedbox LTE IV has cut the telephone function. 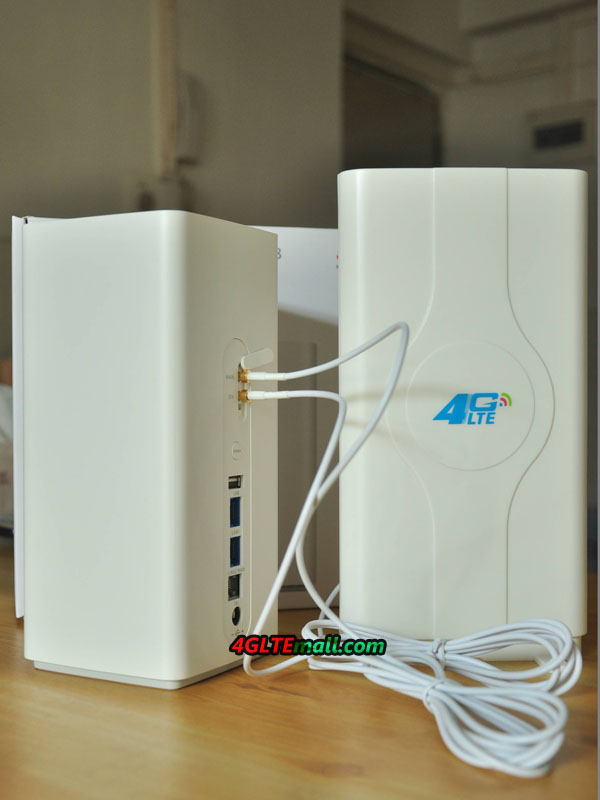 The package content consists of a plug-in power supply, a LAN cable and a quick start guide. The maximum power consumption of the Speedbox LTE IV is 24 watts. The price of Speedbox LTE IV is not cheap now. If you want to get an unlocked device, we suggest you take the original Huawei B618s-22d with the WAN & LAN ports, and the USB & VoIP telephone ports. 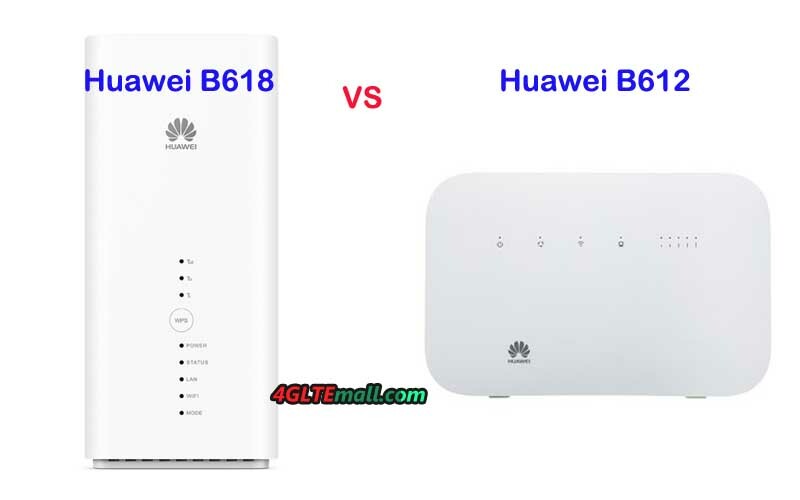 Many people are already getting or planning to get the Huawei B618 4G LTE Advanced Pro router, but many users may want to know how to use or setup the Huawei B618 router. 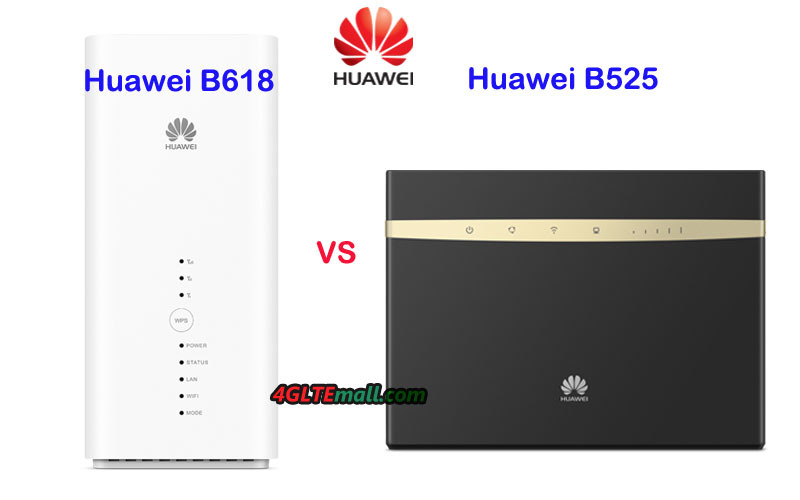 Today, we will guide you know the Huawei B618 and use the Huawei LTE router well. * During thunderstorms and rainy weather, turn off and disconnect the LTE CPE B618. * The LTE B618 CPE function descriptions and illustrations in this article are for your reference only. The product you have purchased may vary. * Provide Internet access for Wi-Fi® devices and a computer. * Connect to a telephone for voice services. * Expand LAN coverage together with a hub or a switch. 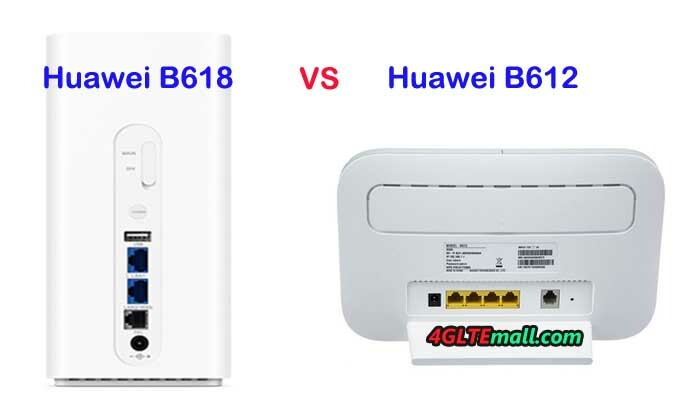 When the Huawei LTE CPE B618 is in use, you can alter its position or orientation to improve signal reception. Selecting the installation environment Obstacles such as concrete and wooden walls will affect the transmission of the network signal. It is recommended that when you install LTE CPE you choose an open space. Keep the LTE CPE away from equipment that generates strong magnetic and electric fields, for instance microwaves, refrigerators, and satellite receivers. External antenna sockets (* Connect to external antennas). Power button Press and hold to power the B618 on or off. USB port Connect to a USB device. – Working as a LAN port when connected to a computer, switch, or other LAN device. 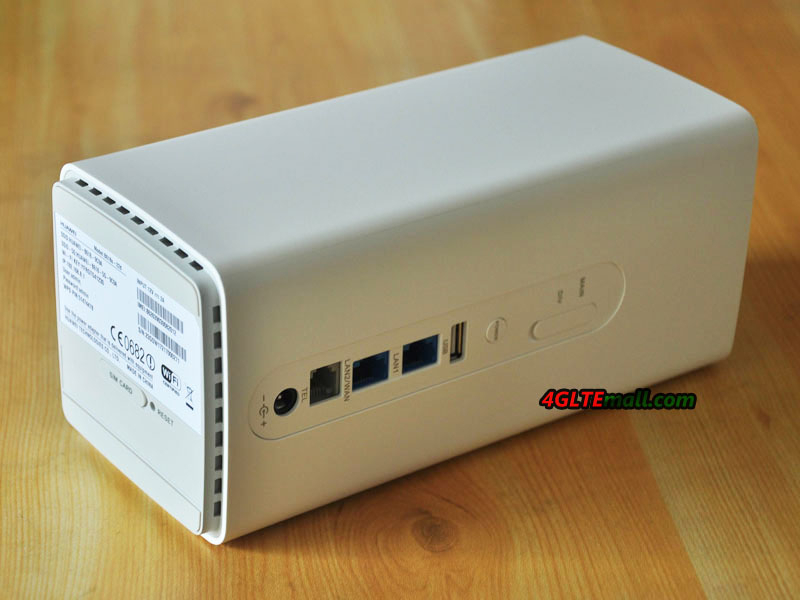 – Working as a WAN port when connected to an Ethernet port on the wall. Landline phone port Connect to a telephone. Power input Connect to compatible power adapter. Signal indicators Green: signal reception available (more indicators mean better reception). WPS button Press and hold to active WPS connection when Wi-Fi is turned on. Micro-SIM card slot Accommodate a micro-SIM card. RESET button Restore the LTE CPE to its factory settings. Off: Data server connection is disconnected. Blinking in green: Firmware update. Green: Get IP address of WAN. Off: No device is connected to a LAN port. Blinking: data is being transmitted through a LAN port. 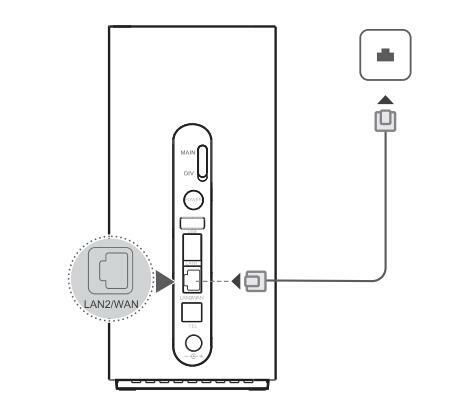 Green: At least one of the LAN ports is connected to a device. Off: Both 2.4G and 5G Wi-Fi is closed. Blinking in green: WPS open. Green: Both or one of the 2.4G and 5G Wi-Fi is opened. Steady cyan/blue/ yellow: connected to a mobile network. Steady green: connected to an Ethernet network. Steady red: The SIM card is not recognized, the PIN has not been entered, or the PIN verification failed. Installing the micro-SIM card Install the micro-SIM card according to the illustration. – Note: When removing the micro-SIM card, gently press the micro-SIM card in, then release. The card will automatically pop out. 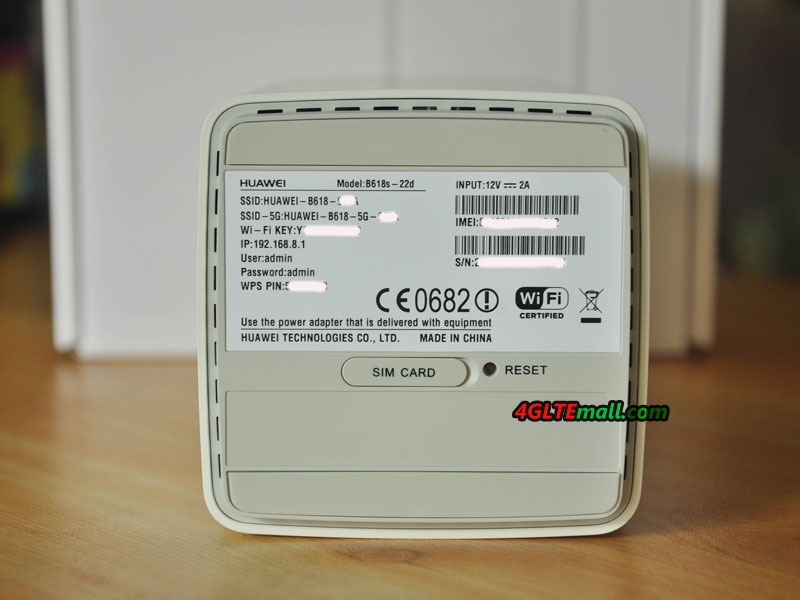 – Do not remove the micro-SIM card when the LTE CPE is powered on. Doing so will affect the performance of your LTE CPE, and data stored on the micro-SIM card may be lost. 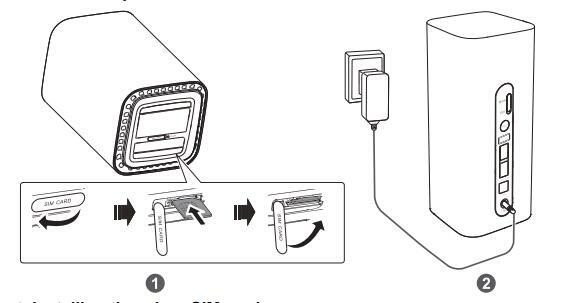 – Install the power adapter according to the illustration. Note: Use the provided power adapter. Use of an incompatible power adapter or one from an unknown manufacturer may cause the LTE CPE to malfunction, fail, or could even cause a fire. Such use voids all warranties, whether expressed or implied, on the product. 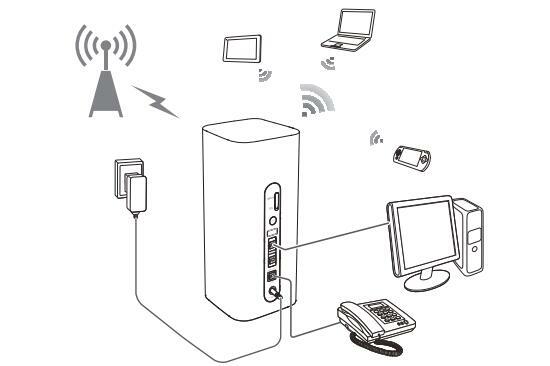 Once the router has connected to a mobile data network, you can connect your computer or mobile phone to the router’s Wi-Fi network to access the Internet. Please refer to the label on the bottom of the router for the default wireless network name (SSID) and password (Wi-Fi KEY). Note: 1.) When the Wi-Fi LED indicator is steady on, Wi-Fi is enabled. To enable or disable Wi-Fi, refer to the help section on the router’s web-based management page. 2.) 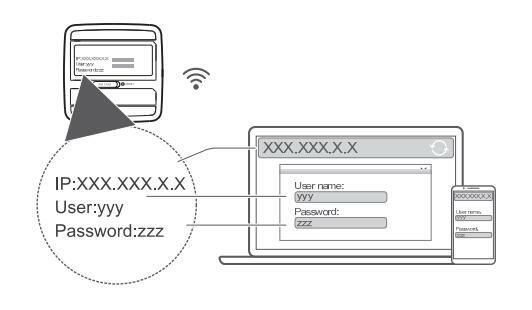 Ensure that you promptly change the Wi-Fi network name and password on the web-based management page to prevent unauthorized access to your Wi-Fi network. Once you have changed the password, you will need to reconnect to the router’s Wi-Fi network. You can configure the router using the web-based management page. Please refer to the label on the bottom of the router for the default IP address, user name, and password. More information can be found in the help section of the web-based management page. Note: You will be prompted to change the default login password for the web-based management page to prevent unauthorized users from changing the router’s settings. Note: The features described in this section are for reference purposes only. Your router may not support all of these features. 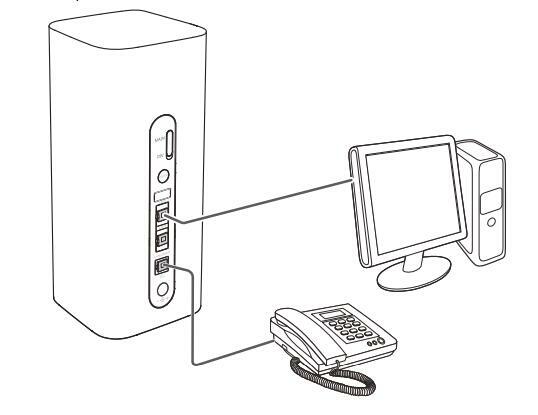 Connecting multiple devices You can connect a computer, or landline phone to the router to access the Internet, make telephone calls, and more. Installing external antennas You can install external antennas to improve signal reception. 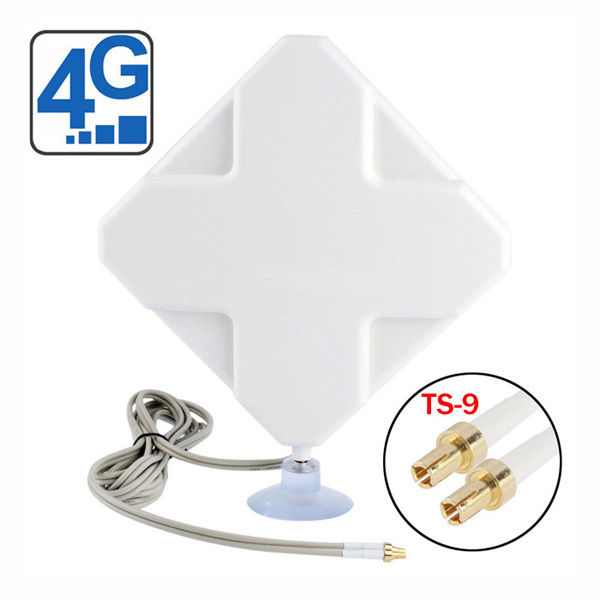 Please contact your network service provider to purchase the antennas. Note: Turn off the router and unplug the power adapter before installing any external antennas. External antennas are only suitable for indoor use. Do not use external antennas during thunderstorms. 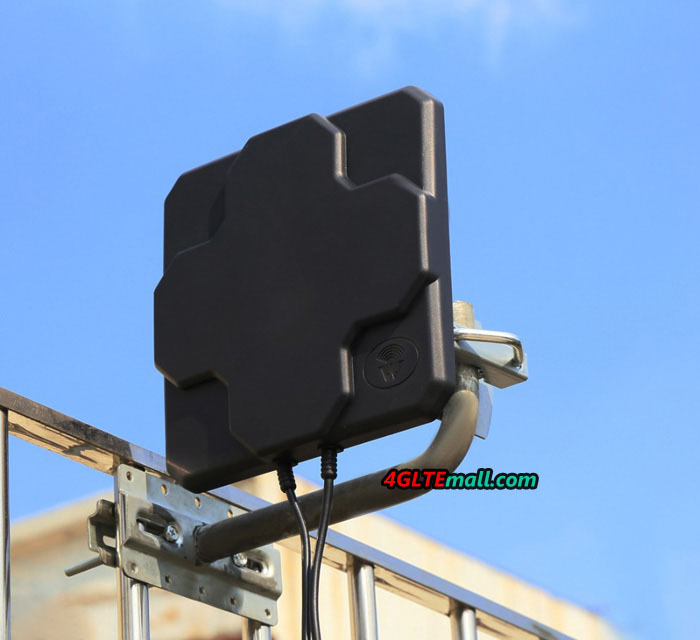 Only use external antennas provided by your network service provider. You can connect the router to a wall-mounted Ethernet port using an Ethernet cable to connect to the Internet when you have used up your data allowance. Configure the relevant settings on the web-based management page before connecting to the Internet through an Ethernet port. More information can be found in the help section of the web-based management page. If you forget some configuration parameters, you can restore the LTE CPE to its factory settings and then configure the LTE CPE again. Use a sharply pointed object to press and hold the RESET button until the Power indicator turns off. The LTE CPE is then restored to its factory settings. Note: After you carry out this operation, the LTE CPE’s personal configuration parameters will all be deleted. All configurations on the web management page will be restored to the factory settings. If the Wi-Fi device to be connected to the LTE CPE supports WPS, the wireless network encryption key is generated automatically and there is no need to enter it manually. The steps for WPS connection are as follows: 1.) Turn on the CPE. 2.) Turn on the Wi-Fi device to be connected to the LTE CPE. 3.) Activate the LTE CPE’s WPS. 4.) Activate the Wi-Fi device’s WPS. Note: Press and hold the WPS button for two to five seconds to set up a 2.4 GHz WPS connection, or press and hold the button for more than five seconds to set up a 5 GHz WPS connection. For specific instructions for the Wi-Fi device, refer to the device’s user manual. Scan the QR code to download the Huawei HiLink App and configure the router from your phone. PIN Management provides PIN security settings to prevent unauthorized use of the SIM, USIM, or UIM card. 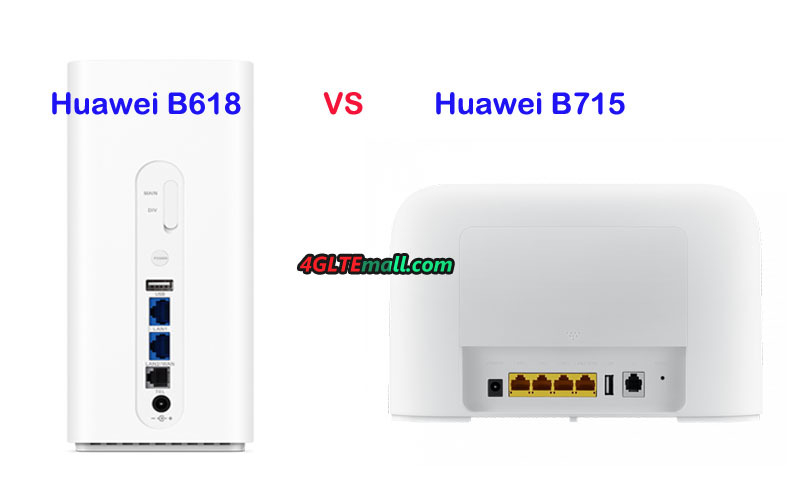 If PIN verification is turned on, you need to enter the PIN only when the Huawei B618 4G Router is turned on. If PIN verification is turned off, no PIN is required. If a PIN is required, enter the correct PIN. If you enter your PIN incorrectly three times consecutively, the SIM/USIM/UIM card is locked and you must enter the PIN unlock key (PUK). If you enter the PUK incorrectly ten times consecutively, the SIM/USIM/UIM card is locked permanently. If you cannot enter the correct PIN or PUK, network-associated functions are unavailable. The PIN and the PUK are provided with the SIM/USIM/UIM card. If you did not receive them or have forgotten them, contact the operator. Choose Settings> Security > PIN Management . Enable: to turn on PIN verification. Disable: to turn off PIN verification. If PIN verification is turned on, you can change the PIN. Choose Settings> Security > PIN Management. From PIN operation, select Modify. Enter a new PIN and confirm the PIN. 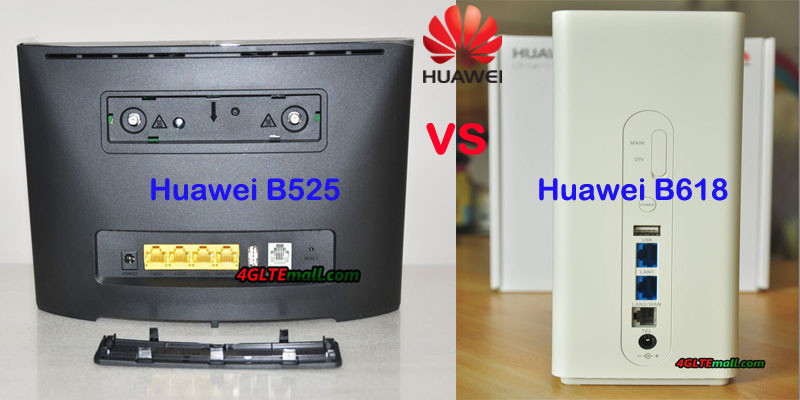 It’s a long time since the Huawei B618 4G Router was firstly released by the manufacturer Huawei. 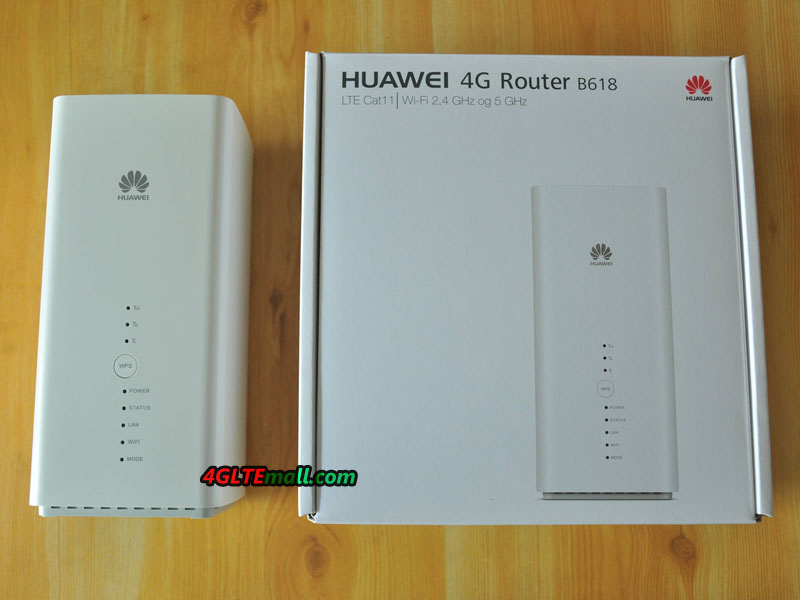 Some information shows the Huawei B618 4G LTE Router was already available in some network providers’ data plan. 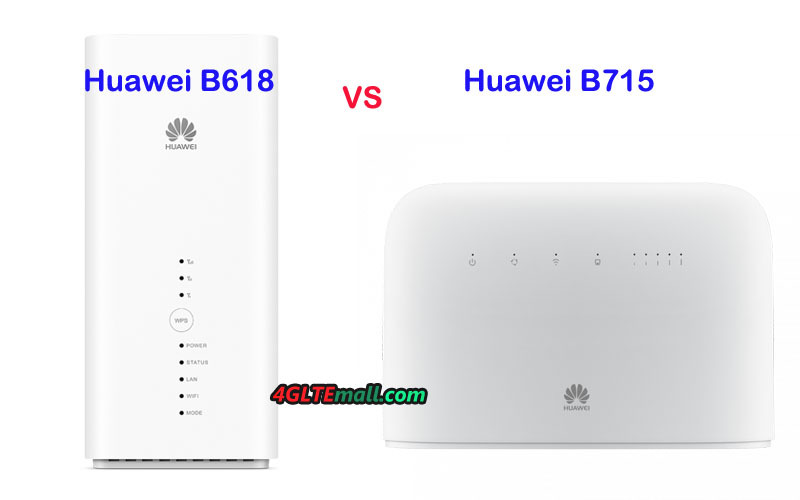 Good news is that we get the unlocked Huawei B618 4G Router now. 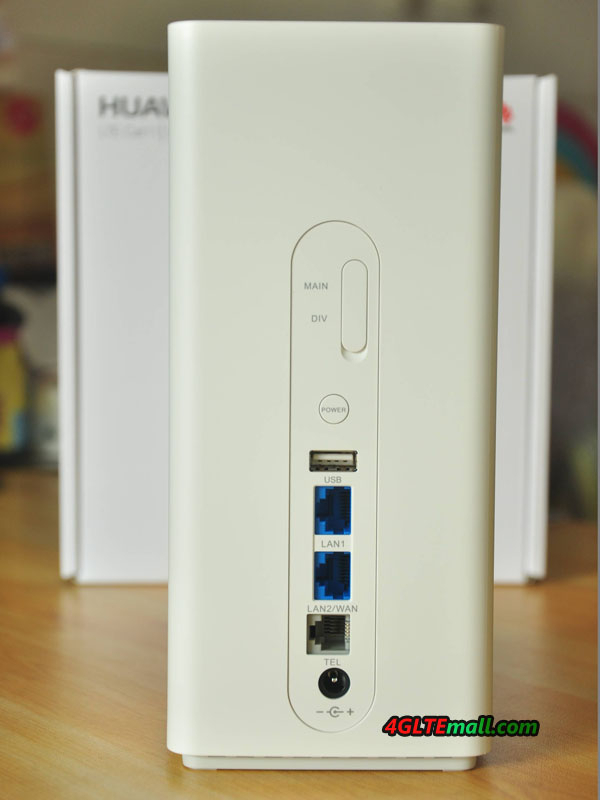 The Huawei B618 Router is packed in white box with the image of B618 printed on the front with the model number. The device is in white color and looks good. 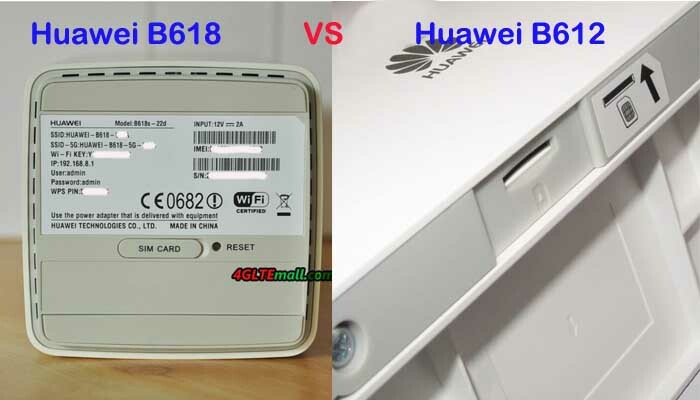 Protected by a plastic bag, the Huawei B618 is unlike usual wireless router shaped in a cube, so it’s also called Huawei B618 Cube. When it stands on the desk, it looks like a humidifier. 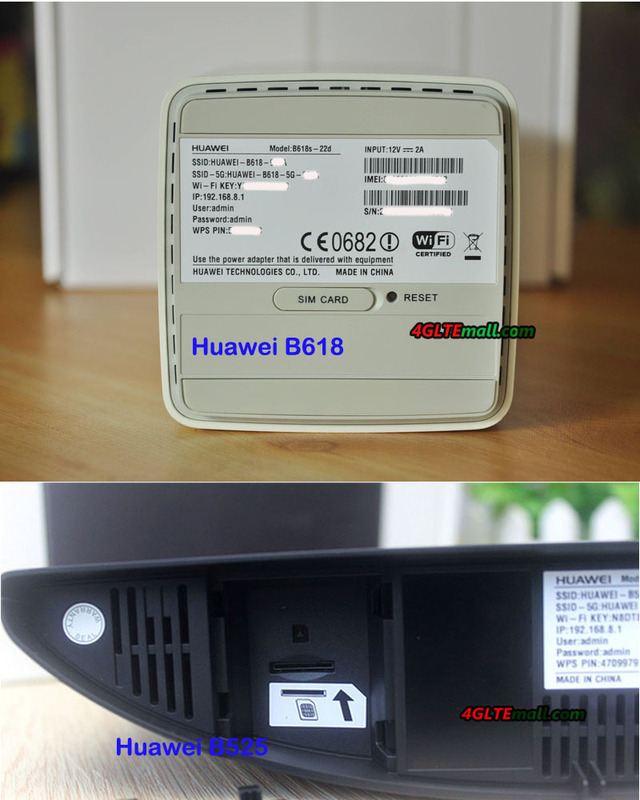 On the front, we can see the Huawei logo and below is are the LED indicators including three signal bars, WPS button, Power indicator, Internet Status indicator, LAN status indicator, WiFi indicator and Mode indicator. 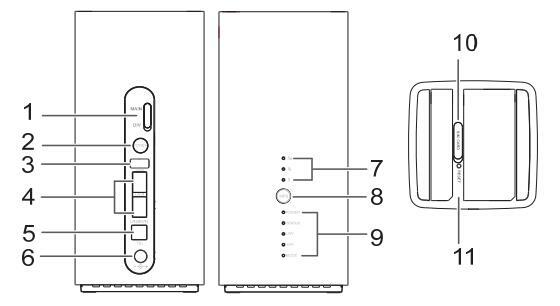 On the back, we can see the power button, one USB2.0 port, One LAN port and one LAN/WAN port, one telephone port and power adapter plug port. At the top are the two connectors for external antenna covered by a small cap. 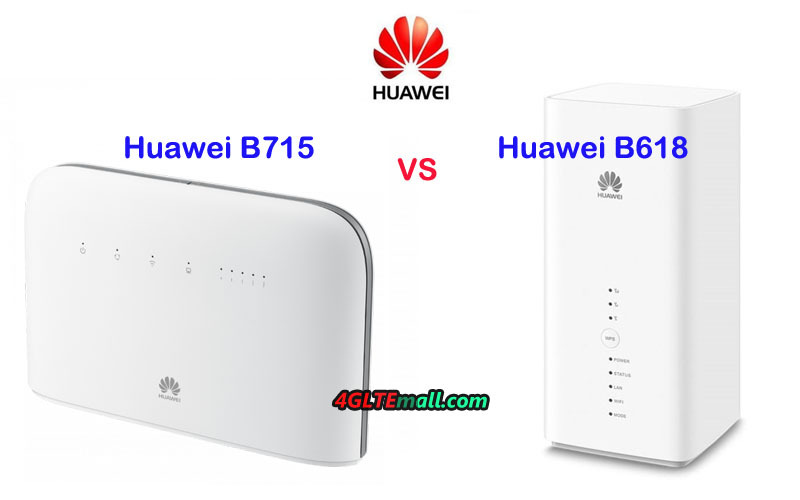 The connector type of the Huawei B618 external antenna is TS-9 and we had tried the antenna with two TS-9 connectors with the Huawei B618 Router. They are working together very well. 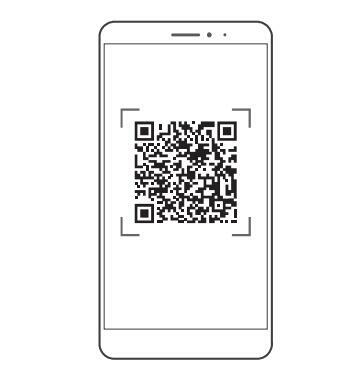 Like its predecessor Huawei E5180s-22 Cube, there is a label at the bottom of the device, which would show more details about this device. We can see it indicates the model number is B618s-22d. 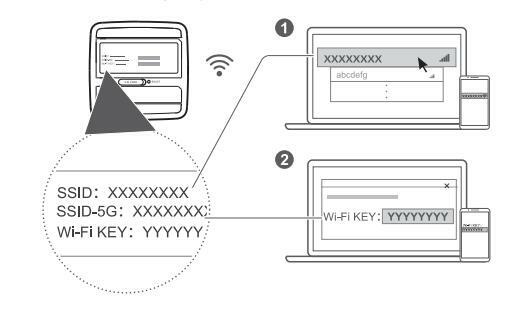 Below the model number, there are SSID name, SSID 5G name, WiFi key/password, IP address for web management, user name and password for log in web IP address, and the WPS Pin code. 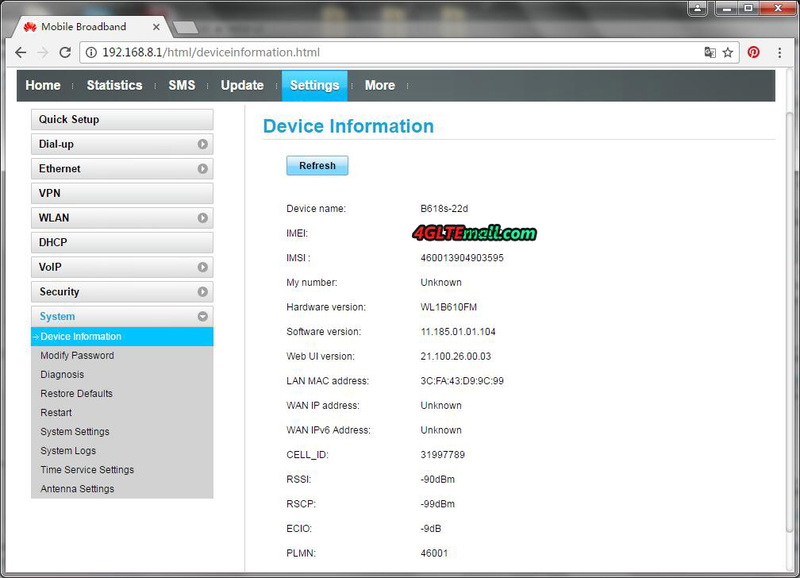 On the right side, it indicates the input power is 12V-2A, and the IMEI number & S/N are listed with the bar code. 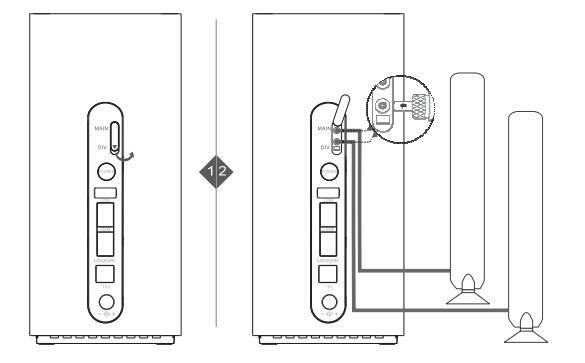 The CE0682, RoHS and WiFi certified with the Made in China and Huawei Technologies Co., LTD are also on the label. Below the label is the SIM card slot, which is also covered by a cap to protect from dust. User needs to open the cap and plug in the sim card. At the SIM card slot side, it’s the rest hole. If you want to reset the router, you need press the reset button the hole for few seconds. 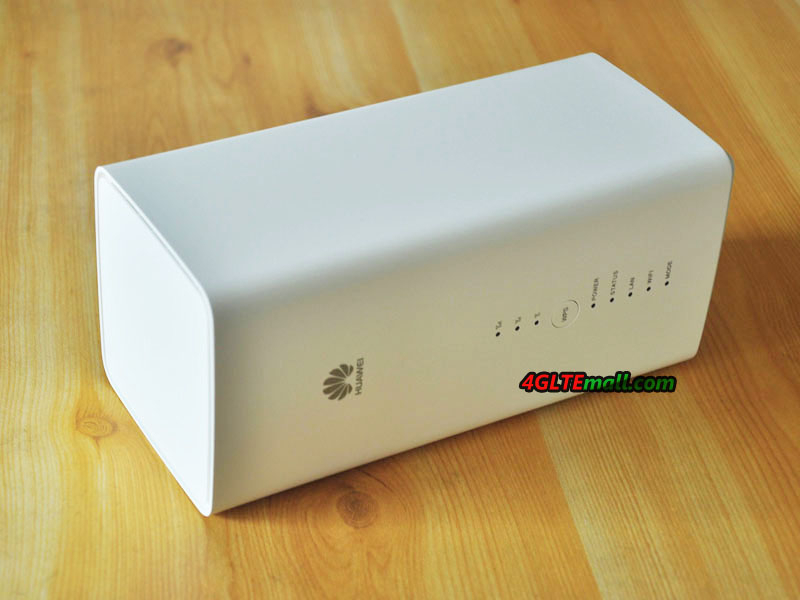 Here now the original new and unlocked Huawei B618s-22d is available on www.4gltemall.com, if you are looking for a cool 4G wireless router supporting LTE-Advanced networks, Huawei B618 Cube should be a good option.